Next week is our Day Camp at church. The theme is Space, so I thought we should spend this week studying the universe at bit. I got a new camera recently, so I tried to focus on taking more pictures. "At the Same Moment, All Around the World"
"Why is the Sun so Bright?" 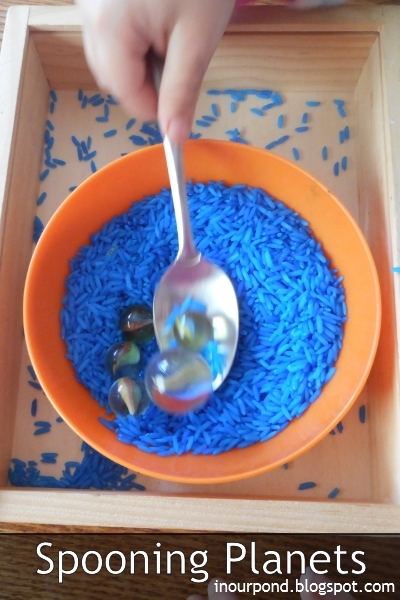 Song: "The Earth Goes Around the Sun"
This activity turned out to be very difficult for my kids' ages (3 and 2). They had trouble pealing the stickers off and more trouble getting them onto the paper. I'm not sure they even enjoyed the process. It's one that I can see them wanting to do as they get a bit older. 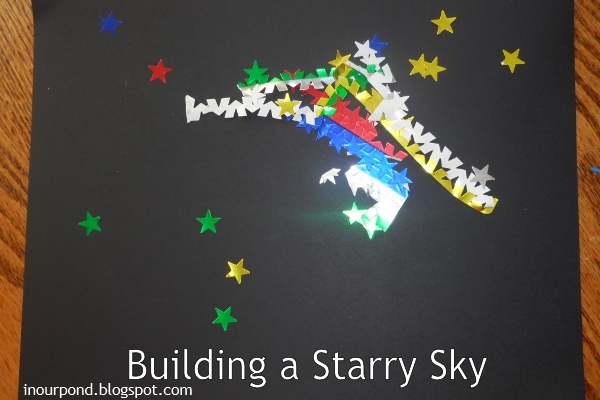 I saw a neat idea on Pinterest where the kids used the stars to outline constellations. Look for this visit to come back again. Ok, so this isn't the kids' school work- it's mine. 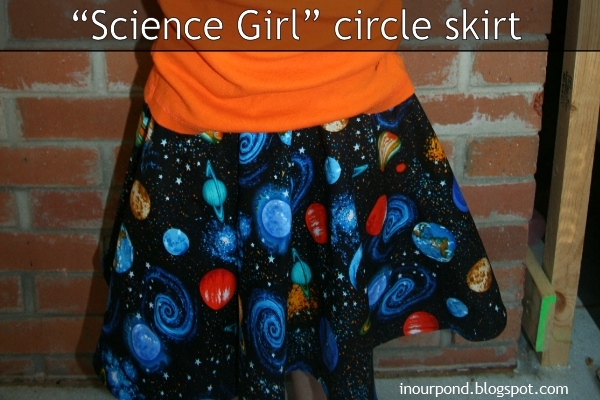 I made the circle skirt for my "Science Girl." She loves it. The fabric came from Hobby Lobby.